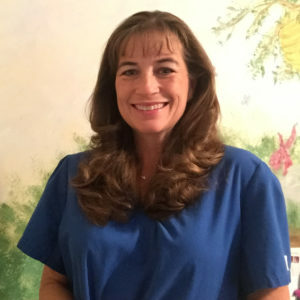 I joined the practice in 1989 as a certified dental assistant and obtained my RDA in 1994. I was raised in the area where I met my husband of 20 years. I have a love and passion for music, Christmas music being my favorite of all. This will be apparent when you come to visit us and you hear “Jingle Bells” in the middle of July. I believe it is impossible to be in a bad mood or have a bad day if you are humming along to a good carol! I feel blessed to have found a family atmosphere to be a part of for so many years and I look forward to many more memories with this awesome doctor, staff, and patients. I love helping people with their dental care!